Anderson Funeral Homes, located in Marshalltown, Gladbrook and Conrad, Iowa, has had quite the summer! On July 19, 2018 an EF-3 tornado with wind speeds that reached 144 mph swept through the small city of Marshalltown, Iowa. 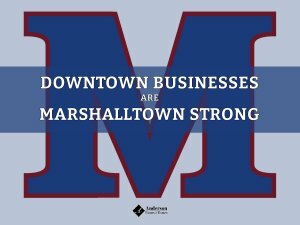 Many buildings throughout Marshalltown were hit, but the majority of the damage was done in the city’s historic and quaint town square. Today, over a month later, downtown businesses are open and serving their community. The main difference you’d notice around town now are the slightly inconvenient construction zones as repairs are being made. 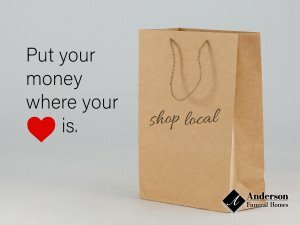 Anderson Funeral Homes’ Marshalltown location is right in the heart of downtown. With the help of their community, they were able to open their doors only a day after the tornado’s devastation! Jody Anderson of Anderson Funeral Homes, a current client of ours, called us about three weeks after the tornado. Anderson found something upsetting. He had noticed a dramatic decrease in his call volume since July 19th, the day of the tornado. He thought that it was due to the fact that a few nearby businesses were still closed for construction; perhaps people weren’t aware that the downtown square was open. He thought community members may be avoiding the downtown area altogether as construction continued. Unfortunately, this had led to a record low call volume for his firm. Funeral Innovations’ worked with Jody Anderson to quickly develop custom Facebook posts, centered around promoting his firm being open and functioning to full capacity. As we all know, the funeral industry is not like any other local business. You can’t simply say you are in fact open and run a sale, like you could for a restaurant or shop. We posted 3 unique but similar posts to their Facebook page over two weeks, and boosted them (via Facebook ads) to reach a massive, targeted audience in their community. We were also able to send out an email blast to their newsletter list. Months of collecting contacts for their newsletter paid off with an open rate almost 10% higher than their yearly average. We posted the same information as a blog to their website. Since they are using our Email Marketing services as well as our website, we were able to reach more than just their Facebook community. Jody also mentioned how happy he was with not only the call volume that had returned, but also the engagement and communication he heard from the community of Marshalltown in response to him opening up the parking lot. The friendly gesture of parking space was the right angle for this firm to take, to show they were in fact open, in a non-intrusive way. The July 19th tornado could have been more devastating for Anderson Funeral Homes than only the few weeks of decreased call volume if it wasn’t for their Facebook page’s constant engagement within the community, in combination with their continually growing email list and web presence. The positive impact of digital marketing is real, but to capitalize on its potential, it’s critical to start building your audience now. Contact us now and we can help!